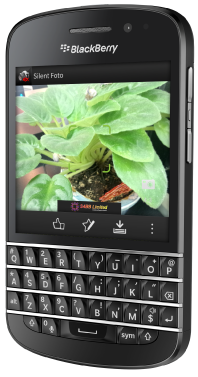 We’ve released a brand new update for Silent Foto making it compatible with BlackBerry® Q10. We also redesigned the user interface making it easier to use. Last but not least we’ve fixed reported bugs. Thanks to this handy application, you can now take photos without annoying, fake shutter sound. Silent Foto is compatible with BlackBerry® OS 6 & BlackBerry® 10. Previous Previous post: Theme 1.2 for BlackBerry 10 released!